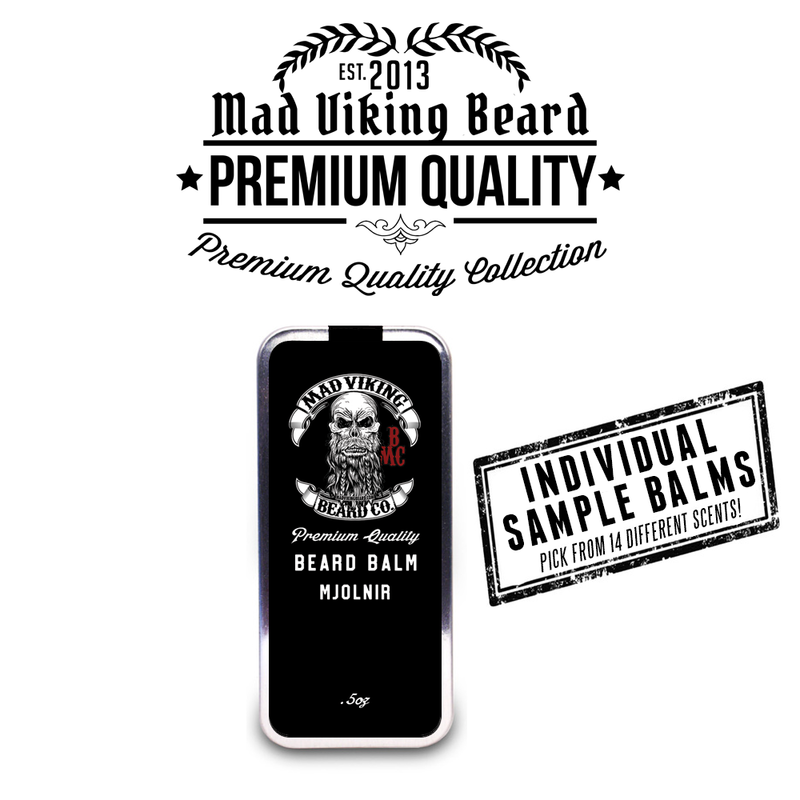 Mad Viking Sample Beard Balm Pack - Mad Viking Beard Co. In this sample you can get all 14 scents or pick an individual scent to try out! Our Beard Balm Blends consist of the following nutrient rich base oils, butters and waxes to help maintain, condition, manage and promote healthy growth and provide a medium styled hold without looking greasy. 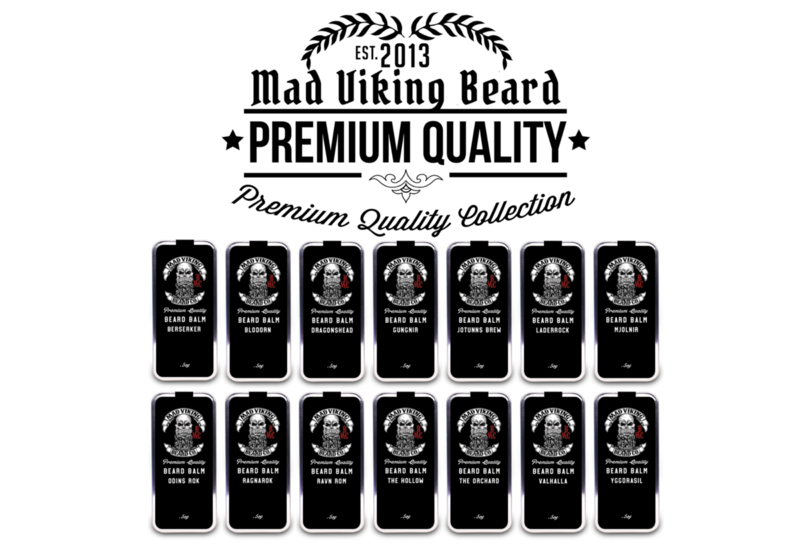 Mad Viking Beard Bam Blends are just better for your beard.